Educational project "Ancient Technologies for Today"
​Project "Ancient Technologies for Today" was implemented during the summer of 2017. The goal of this project is to popularize cultural heritage and ancient technologies, to stimulate their revival, creativity and their adaptation to contemporary culture. While implementing this project, three educational reconstruction exhibitions of the old crafts - book binding, glass bead making, making bone and antler tools for textile and textile producing technologies - has been arranged. Also, three public lectures on the themes of old crafts has been arranged. 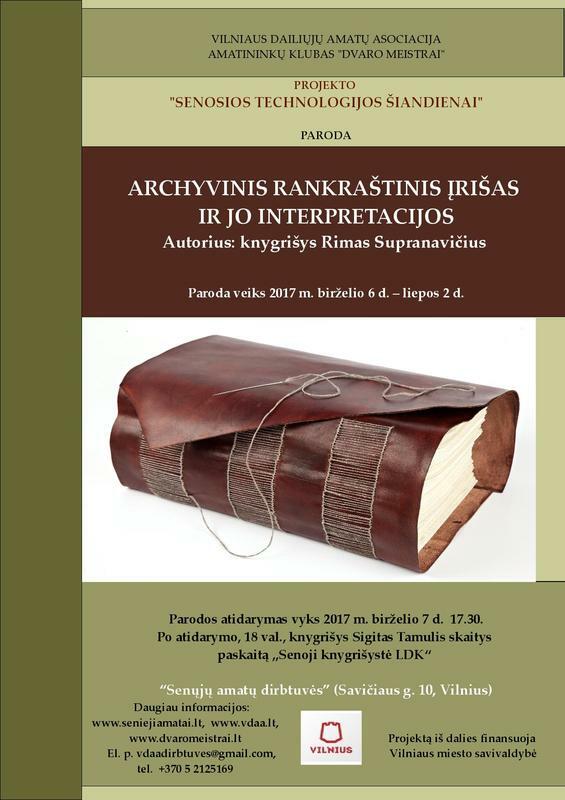 These lectures thoroughly introduced the exhibits and introduced participants with ancient (Baltic, Grand Duchy of Lithuania) characteristics of crafts. 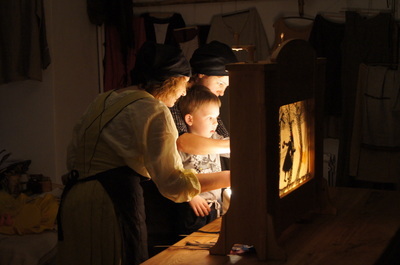 Besides, three educational craft cycles has been implemented during which citizens and guests of Vilnius city not only was introduced with reconstructions of heritage objects displayed at the exhibitions, but also had a chance to be a part of intangible heritage dissemination - they acquired basic skills of each craft. Bone, antler and textile, August, 2017. All events took place at The Old Crafts Workshop, Savičiaus street 10, Vilnius. 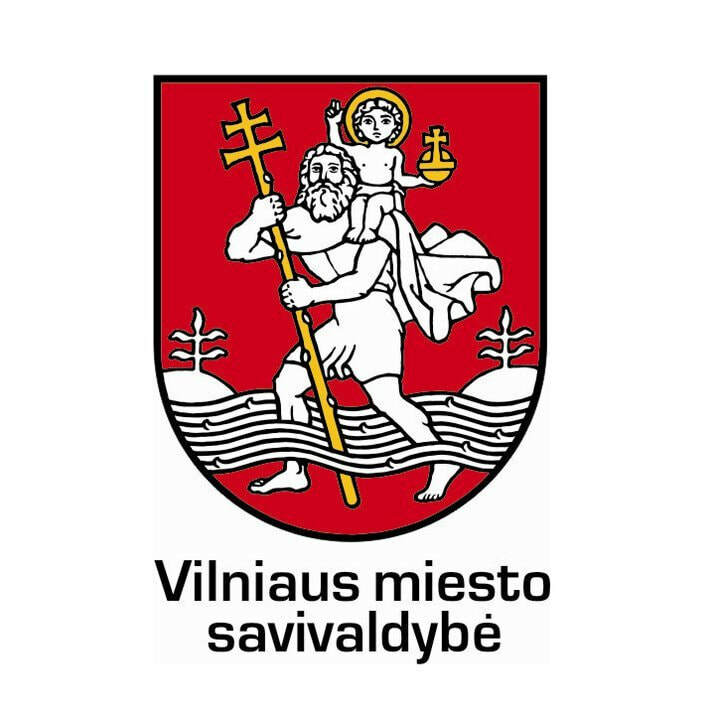 Project is funded by Vilnius City Municipality (Program for Supporting Culture and Communities). International project "Making and Growing – Traditions between Fibre & Fabric"
Traditional and old crafts is an important part of Lithuanian culture, it marks uniqueness of regions, as well as it is an additional income source for members of small communities. Nowadays the craftware is usually being presented in fairs and during festivities. It is a pity that only the motivated people come to the workshops, ethnographical events, where one seeks to know Lithuanian crafts on his own will. This way is not innovative or attractive to transfer crafts and it does not reach general public. Furthermore, craftsmen face the difficulty to find their niche in the market (older age, adjustment to fast developing economical situation, lack of entrepreneurship, good financial possibilities). Weaving is an important part of Lithuanian and Norwegian culture: In Norway – wool, in Lithuania – linen. Fabric is one of the most beautiful arts of the national heritage. The treasure of weaving survived and it shows how rich of deep traditions in weaving both cultures are. It is a pity, that this archaic heritage is no longer interesting in the modern life, the number of craftsmen is diminishing as well. It is necessary to find modern and innovative niche to save and protect this craft, the interesting side of the craft should be presented for the society. In order to make crafts to be the big part of popularizing arts, culture and cultural tourism in the regions, it is necessary to seek for new ways to display and present them. Based on the relevance of mentioned issue, in 2015 the Fine Crafts Association of Vilnius together with the donor country begun to implement international project: Making and Growing – Traditions between Fibre & Fabric. 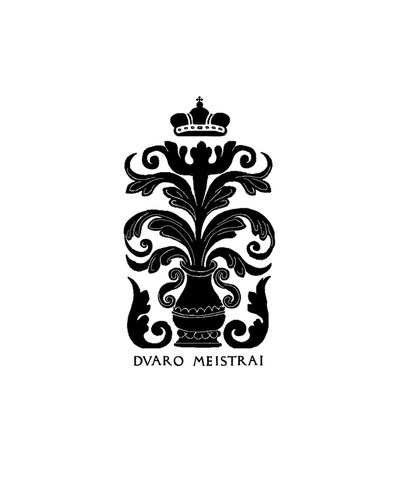 The project is funded according to the European Economic Area Financial Mechanism 2009-2014 Promotion of Diversity in Culture and Arts within European Cultural Heritage Program. Duration of the project is 11 months. The aim of this project is to reconstruct, exchange and spread traditional knowledge of textile making within two different cultures, to perform the reconstructed process of textile crafts, to make the mobile exhibition of this topic from different perspectives and to make contacts with local partners of professional and non-professional artisans within the field throughout the process. 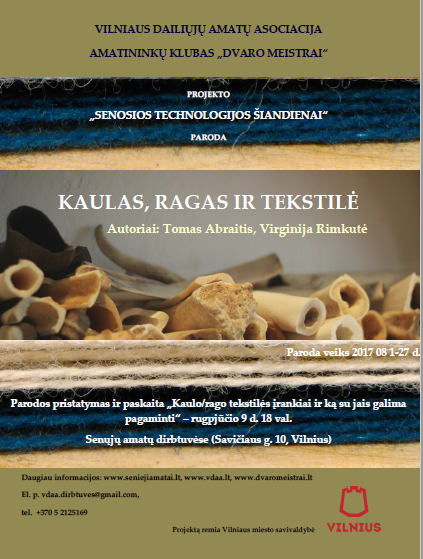 Research of Norwegian sheep wool and Lithuanian linen production through the scientific and physical processes. This dual study let us investigate the traditional tools and archaic practical methods of production of weaving in both countries. In this way the research of museum artifacts and practical knowledge of craftsmen will be joined through historical reconstruction techniques. 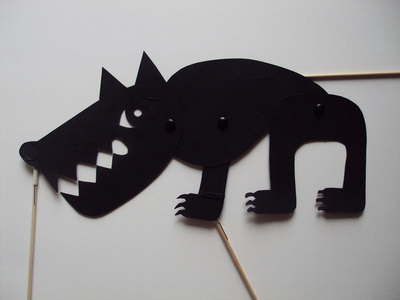 The perspective of these two activities reflects the philosophy of "making and growing”, i.e. continuous learning through the production process. Creation of the innovative product – mobile, life, open and educational exhibition. The exhibition will aim to establish contacts between craftsmen-professional and amateur or 'newcomers' and the general public at the international level. During this exhibition the path of linen and wool from the birth of fiber to the fabric will be demonstrated, as well as the exchange of intercultural educational knowledge will be done and skills transmitted to the public. There will be presented mobile workshops created during the project’s process and adapted for working for several educators, introducing tools for wool / linen processing, yarn twisting, weaving, allowing learners to test the reconstructed tools, access the information material (stand, examples). Publication of the process of scientific research and reconstruction on the project’s website provided in tree languages (Lithuanian, Norwegian and English). This website (blog) will initiate discussions online while teaching or exchanging information, ideas and knowledge. In this way the project will create additional qualitatively good alternative to transmission of art, culture and knowledge and the development of cultural tourism. It also creates the possibility to touch the life history at a non-traditional environment, will ensure the interests in social, cultural, artistic and nature environment of the local region. Using the examples of good practice (partner’s experience) there will be found a new way to introduce the crafts to the public and thus to increase attractiveness and competitiveness not only in Vilnius, but also in other Lithuanian regions. The Norsk Folkemuseum is Norway’s largest museum of cultural history. With collections from around the country, the museum shows how people lived in Norway from 1500 to the present. The 160 buildings in the Open-Air Museum represent different regions in Norway, different time periods, as well as differences between town and country, and social classes. Museum shows 4 craft workshops – jeweller, potter, weaver, candle moulder. Exhibitions, educational programs and other activities are constantly held here in order to protect the intangible cultural heritage. More information: Norsk Folkemuseum website. The Krikštėnai village community in Ukmergė region. Due to the enthusiastic members of this community educational lessons for children under the title „The road of linen“ are being organized. 3 craftswomen show this craft for the interested and all of them are involved in the activities of the project. Gyvoliai village community in Mažeikiai region. 82 active members participate in the project. The community does not have any lodging, so people who have similar hobbies and interests (needlework, singing, acting etc.) meet at each other‘s places. 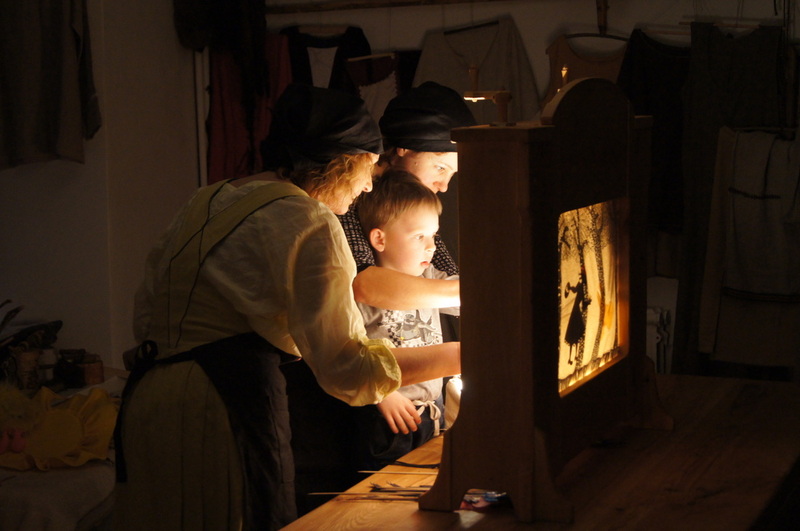 The Old Crafts Workshops of The Fine Crafts Association of Vilnius is implementing the cycle of workshops for the members of the Jewish (Litvakes) Community of Lithuania. During the traditional crafts workshops of this project these ancient crafts of our region will be presented: making of knotted dolls (without using needle), shadow theater and making of shadow puppets, leather processing, bone work, the old table games, cyanotype (the old photography), textile jewelry creation and soap making in a cold way. 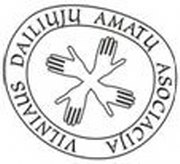 To create educational, cultural and social added value for the Jewish Community‘s of Lithuania members. During the session the technique of cyanotype is introduced and photograms are printed. 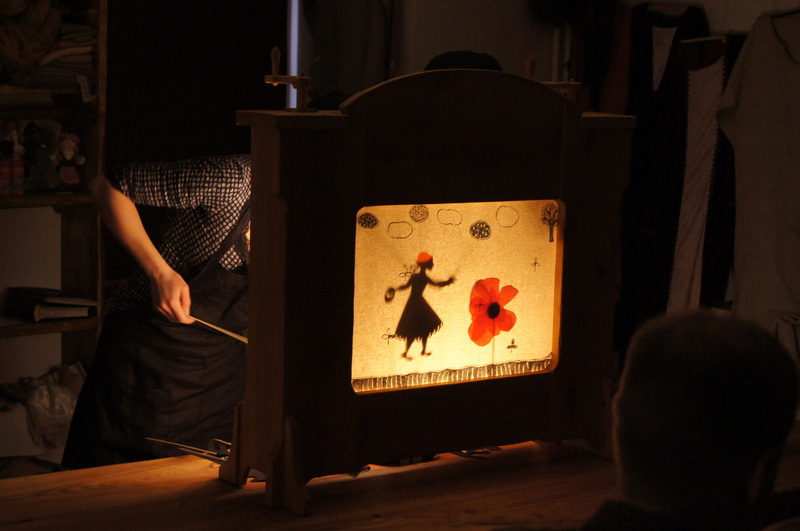 During the play participants get to know magical shadow theater of XIX century. Participants will be introduced to the different kinds of leather, working tools and different leather items made in ancient times (pouches, belts, belt bags, footwear, etc.). Participants will be introduced to the history and technology of the craft. The examples of reconstructions will be shown. Participants will be introduced to the ancient soaps and their making methods (ash, soap stone, etc.). Participants will get to know what table games were played since the ancient Egypt till the 19th century, as well as Lithuanian table games. Participants will be briefly introduced to the history of dolls. Samples of soft dolls made in a few different ways will be shown. Later on participants can make a doll themselves using the oldest and easiest method – tying. During the session participants will be introduced to patchwork sewing traditions and techniques, their purpose and symbolism. „Five minutes“ is the old photographic technology when shooting is taken with the old bellows photo camera similar to „Polaroid“. We hope that the activities of this project will receive a great interest from the members of The Jewish (Litvakes) Community of Lithuania. The sense of community will be strengthened and personal abilities enlarged through non-formal education. All the activities of this project are continuous and ongoing what leads to further future collaboration. The project is partly funded by Good Will Foundation. 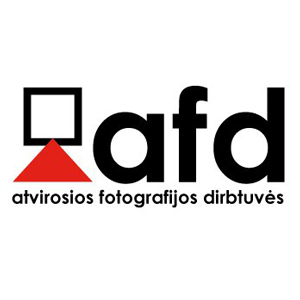 Fine crafts association of Vilnius is implementing educational project for children and youth of various age “Traveling Workshops of The Analogue Photography” in 2014. The goal of the project is to promote, rediscover and preserve the heritage of the analogue photography in Lithuania, as well as to recall the old tradition of shooting the family‘s portraits when everyone was meticulously preparing and the photo shoot was a small family‘s ritual, and photographic stamp was very protected and cherished. 5 educational lectures will be held during the project (till 2014 December) for children of various school age at schools of Kupiškis and Utena districts and at Museum of Ethnography and Local History in Utena. • local history of photography and its artists. • perpetuate themselves using the old photographic technology „five minutes“ when the shooting is taken with the old bellows photo camera. Also during the project, pupils and local residents will be encouraged to be interested in their family‘s biography, analyze the old family albums comparing the current family photos with the old ones. • authentic images of mixed technologies of graphics and photography – „Cliché Verre“, which was widely used by the nineteenth century artists, especially during the movement of Pictorialism. This type of workshops has not traveled yet through the small towns of Lithuania. 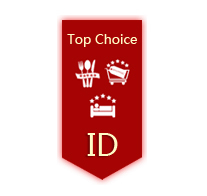 People of all ages and social status will have the opportunity to participate in this project. The exhibition will be organized at Museum of Ethnography and Local History at the end of the project. While visiting the exhibition, the local community residents and pupils‘ relatives can enjoy the crafts created by pupils. The project is planned to be continued also visiting the other regions of Lithuania by encouraging, promoting and stimulating the interest of the photographic heritage of the country of young people and local communities. 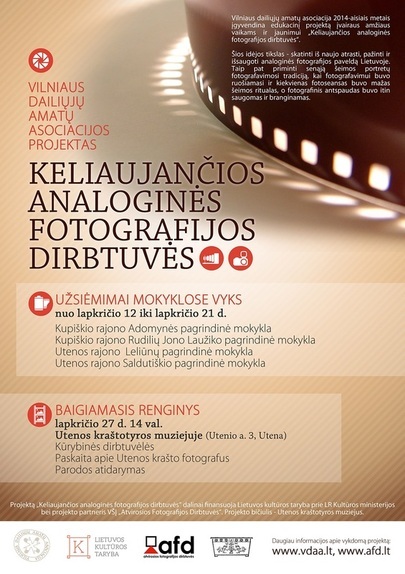 The project „Traveling Workshops of The Analogue Photography“ is partly funded by The Lithuanian Council for Culture at the Ministry of Culture and the project‘s partner „The Open Workshop of Photography“. 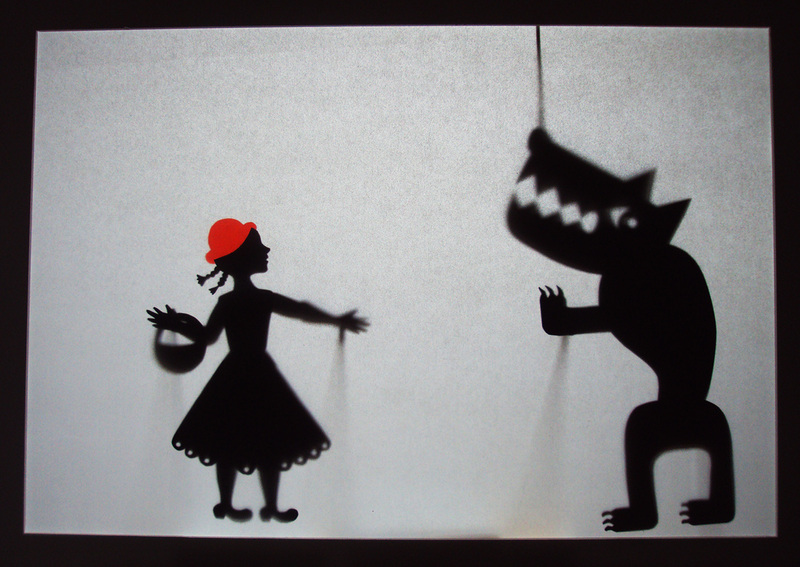 Fine crafts association of Vilnius is implementing educational project for children of various age “19th century shadow theater and shadow puppets creation” in 2014. 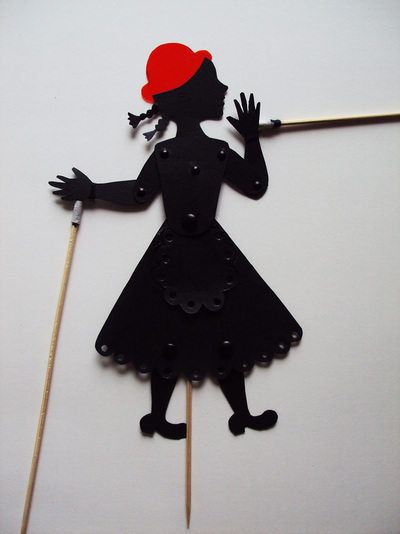 The goal of the project is to introduce children to the heritage of 19th century shadow theater and to stimulate children's cognitive, creative and technical skills using its means of expression. creation of shadow theater and acting. Expressions of the shadows and playfulness of the lights aesthetically enrich creative ideas and give impetus to new ideas and self-expression. Educational project for children “19th century shadow theater and shadow puppets creation” is the first project of its kind in Lithuania, where the organizers are not only trying to revive 19th century Lithuanian theater traditions, but also to encourage children and youth to take an interest in this forgotten Lithuania's cultural heritage. 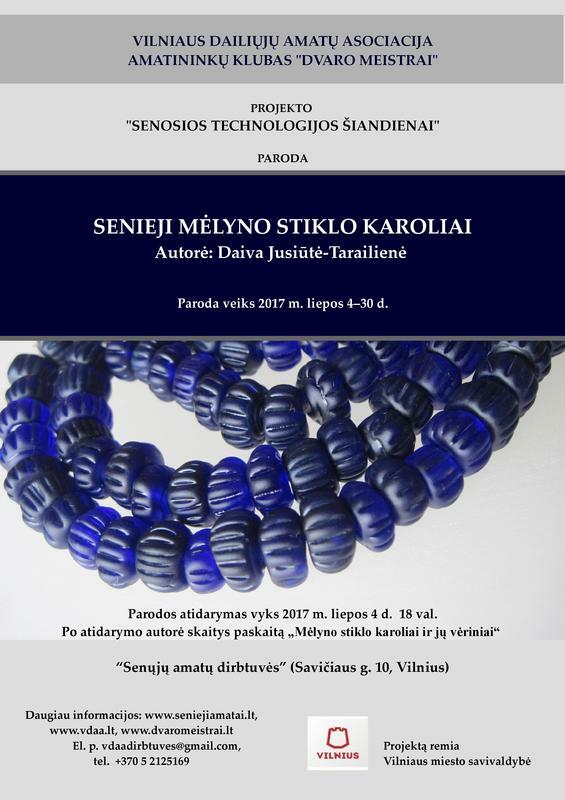 The project is partly funded by The Lithuanian Council for Culture at the Ministry of Culture and public organization “Kultūros paveldo akademija”.